I’m writing this intro from my laptop in the kitchen. My friend Cathy is frying latkes. We’re listening to Christmas music, and drinking (holiday red!) lambrusco sparkling wine. Later we’ll be baking Christmas cookies and watching the movie “Elf.” It’s the perfect way to get in the holiday spirit. 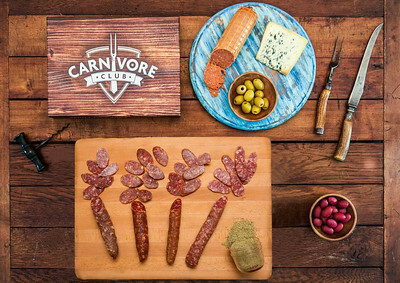 With that in mind, I’ve pulled together this list of unique gift ideas for foodies, adventurous eaters, and the food-obsessed. 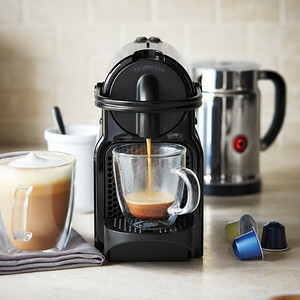 It’s the companion to last week’s suggestions for gift ideas for travelers. 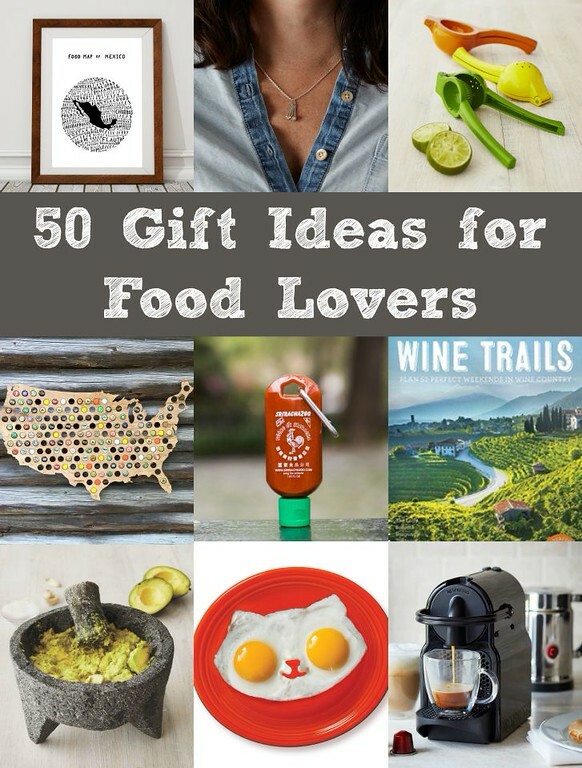 Let me know if it helps you find something for the food lovers in your life. Happy holidays to you! 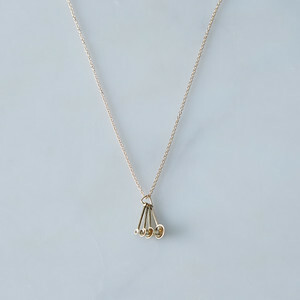 Measuring Spoons or Whisk Necklace: A tiny set of measuring spoons or a whisk, in either silver or gold. 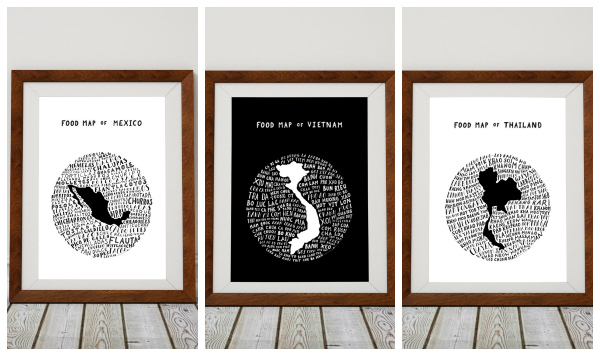 Food Maps of Mexico, Vietnam, Thailand : Hand-drawn “culinary maps” featuring favorite local foods from Mexico, Vietnam, and Thailand. Created by my friend Jodi, from the blog, Legal Nomads. 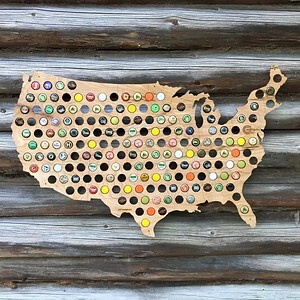 Beer Cap Maps (from $39): A creative way to display your craft beer cap collection. The maps are available in the shape of the U.S., Canada, and all 50 U.S. States. 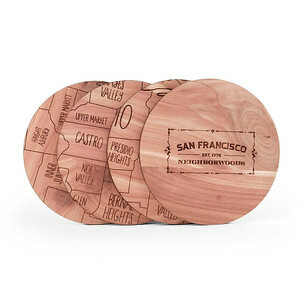 Neighborwood Coasters: Share your local pride with a set of four cedar coasters engraved with city maps. Collections available for more than 25 cities around the world. 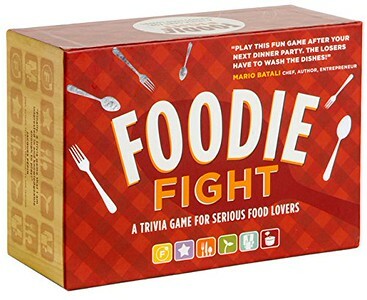 Foodie Fight Trivia Game: Test your culinary knowledge with this food trivia game. 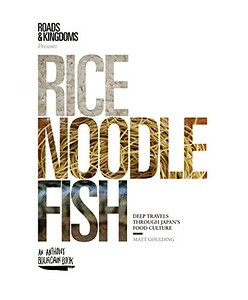 Rice Noodle Fish: Deep Travels Through Japan’s Food Cultures: A culinary guidebook to Japanese food and Japan’s fascinating food culture. 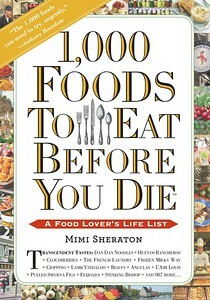 1,000 Foods to Eat Before You Die: A Food Lovers Life List: A guide to 1,000 essential food adventures and some of the world’s most interesting foods. 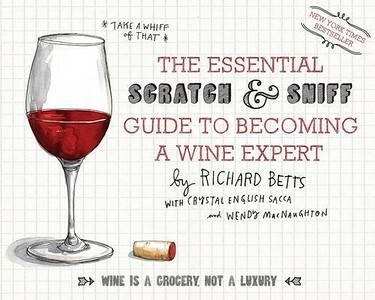 Scratch + Sniff Guide To Wine: Learn to distinguish the basic characteristics and flavors of wine with this unpretentious guidebook to wine tasting, written by a master sommelier. 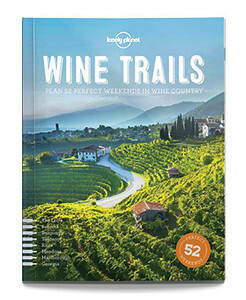 Wine Trails: 52 Weekends in Wine Country: 52 weekend getaways for wine lovers, from the master travelers at Lonely Planet. 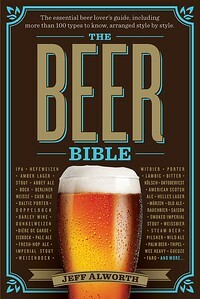 The Beer Bible: Everything a passionate beer drinker needs to know about beers from around the world including beer history, styles, and “if you like this, try that” recommendations. 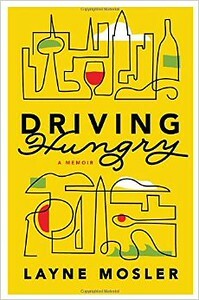 Driving Hungry Memoir: A memoir of a traveling foodie and blogger who explored the world’s best foods, by interviewing taxi drivers and asking them where they love to eat. 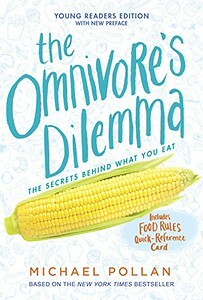 Omnivores Dilemma (Young Reader Edition): A new version of the Michael Pollan bestseller, bringing the discussion of food choices and food policy to young readers. 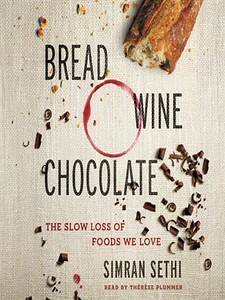 Bread, Wine, and Chocolate: The Slow Loss of Foods We Love: A story of the history and culture of our favorite foods, along with an examination of how the loss of culinary genetic diversity threatens these beloved foods. Mexico, Peru & Tacopedia: Book publisher Phaidon creates some of the most beautiful and comprehensive cookbooks around. Wonderful recent releases are their Mexico and Peru cookbooks (the Peru book, written by Peru’s most famous modern chef, Gaston Acurio), along with Tacopedia, an exploration of taco recipes from across Mexico. 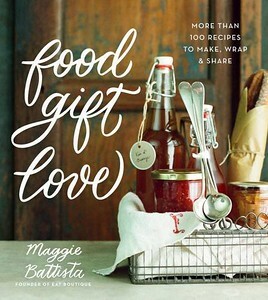 Food Gift Love: Give your crafty foodie friends this collection of recipes devised for gift giving. 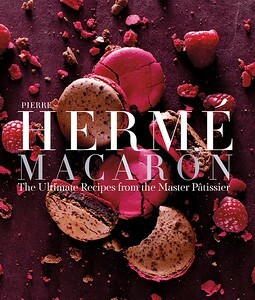 Pierre Herme Macaron: A collection of French macaron recipes from my personal favorite macaron maker, Pierre Herme. 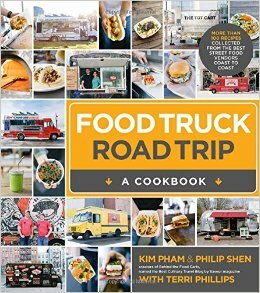 Food Truck Road Trip: A collection of recipes from food trucks across the U.S. 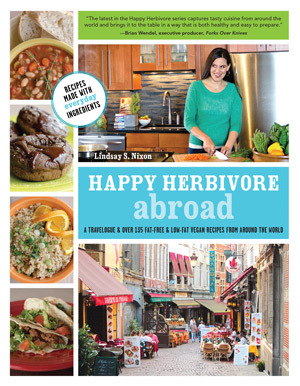 Happy Herbivore Abroad: A travelogue and collection of low-fat, vegan recipes from around the world. 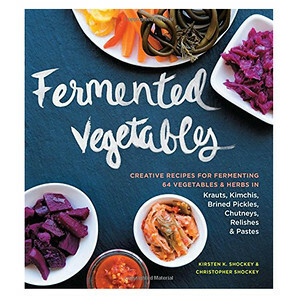 Fermented Vegetables: A collection of creative, fermented and probiotic foods from around the world. 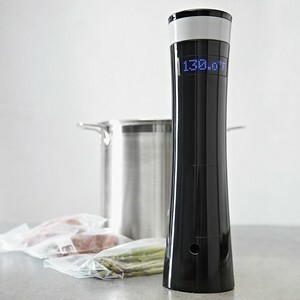 Sous-Vide Immersion Circulator: This high-end French cooking technique, sous-vide can now be done at home with this handheld solution. 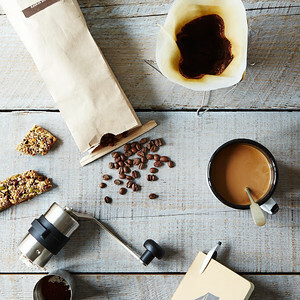 Stumptown Voyager Travel Coffee Kit: A gift for the most obsessive coffee lovers, travel gear for coffee lovers. 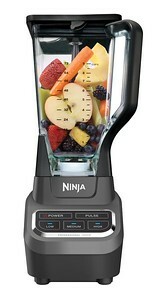 Ninja Professional Blender: A strong, high-capacity blender is always a wonderful gift. This Ninja model is strong and affordable. 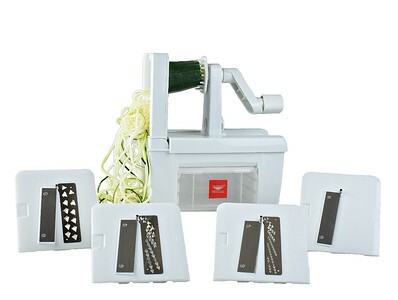 Spiralizer 4 Blade: Use this tool to create long strands of vegetables as a way to encourage healthy eating or create a low-carb pasta alternative. 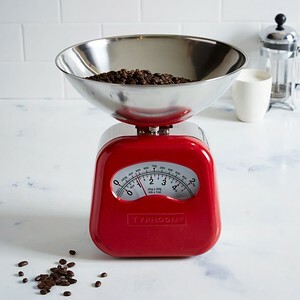 Vintage Red Scale: A lovely retro red kitchen scale. 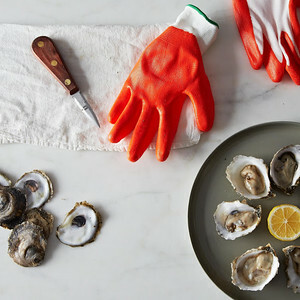 Oyster Shucking Kit: A collection of oyster shucking gear for oyster addicts. 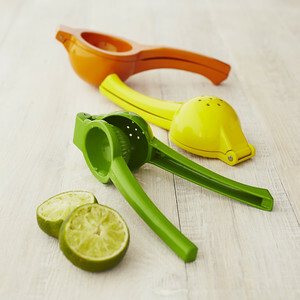 Colorful Citrus Juicers: Colorful citrus juicers to quickly juice fruit by hand. 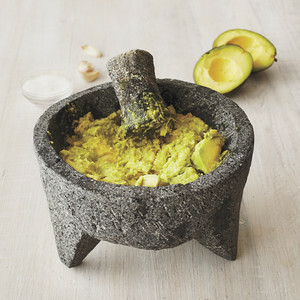 Molcajete: An authentic Mexican lava stone molcajete. It looks just like the one I brought home from Mazatlan earlier this year! 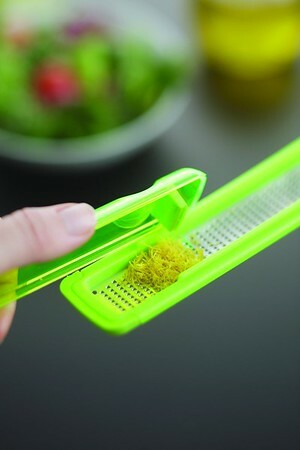 Better Zester: A microplane zester with a handy back compartment to hold the zest and easily scrape it off. 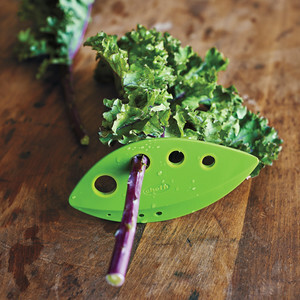 Kale, Chard, and Herb Stripper: I just bought one of these handy little gadgets! It makes it so much faster to use whole kale, chard, and fresh herbs. 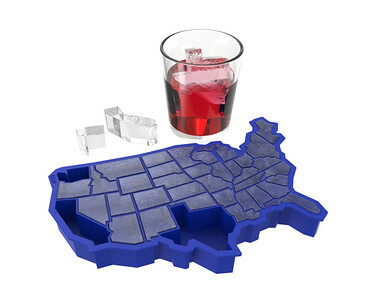 U Ice of A Ice Cube Tray: Ice cubes in the shape of your favorite state! 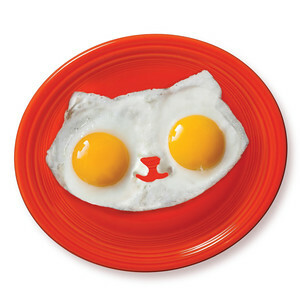 Kitty Cat Egg Mold: Easily shape two eggs into an adorable kitty cat. 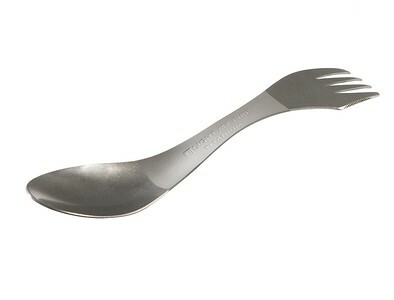 Titanium Spork: A travel-friendly utensil so you’ll always be ready for an impromptu picnic. I keep one of these in my camera bag so I always have it when I’m traveling. 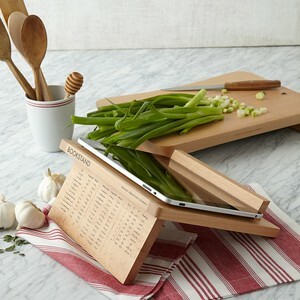 Cookbook Stand with Conversion Chart: A lovely solid wood cookbook (or iPad) stand with a conversion chart engraved on the back. Mouth.com Indie Food Gift Sets : Unique themed gift baskets featuring small-batch artisan food products. 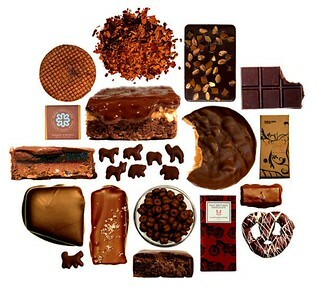 Some gift sets include: bacon, cheese, chocolate, popcorn, pickles, coffee, spirits, vegan, gluten free, paleo, kosher, and more. 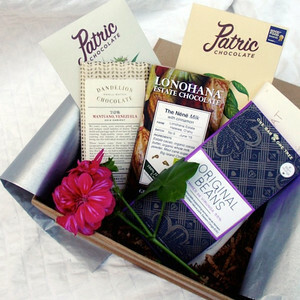 Craft Chocolate Tasting Set : A chocolate tasting set including 5 small maker bean-to-bar chocolate bars, and a tasting instructional video by Sunita de Tourreil, owner of Palo Alto, California’s Chocolate Garage. 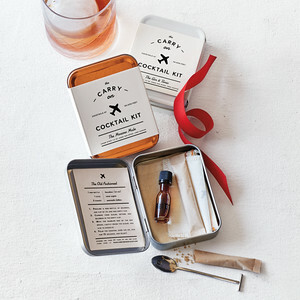 Carry On Cocktail Set: Everything you need to make your favorite cocktail at 30,000 feet. 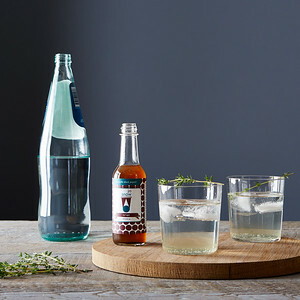 Small Batch Soda and Cocktail Syrups: Small batch soda or cocktail syrups made from fresh fruits and herbs. 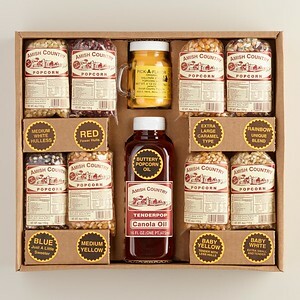 Old Fashioned Amish Country Popcorn Set : Rustic popcorn flavors and kernels that are ready for popping. 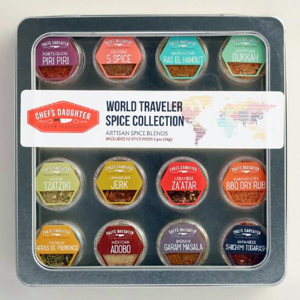 Global Spice Collection : A collection of creative spice blends from around the world. 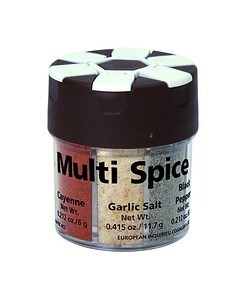 Travel Spice Kit: A compact set of 6 basic spices in one small, travel-friendly jar. Perfect for taking with you on a camping trip or for cooking in a vacation rental. 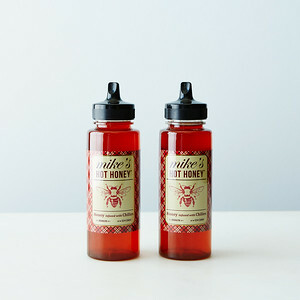 Mike’s Hot Honey: A spicy chile-infused honey. 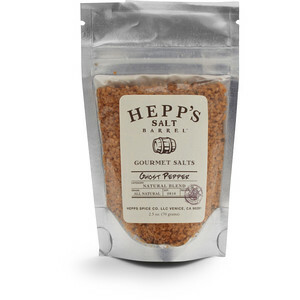 Perfect for a marinade or adding a sweet and spicy flavor to anything. 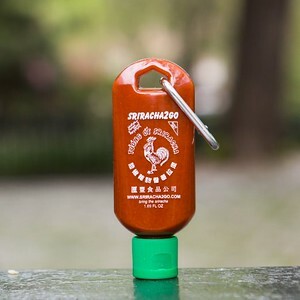 Sriracha Travel Bottle : Carry sriracha on your keychain! A set of three refillable travel bottles. Ghost Pepper Sea Salt : Artisan sea salt flavored with one of the spiciest peppers in the world. 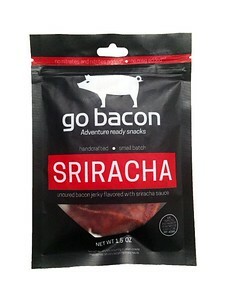 Bacon Jerky : Snackable bacon, ready whenever and wherever you are. Available in maple or sriracha flavors. 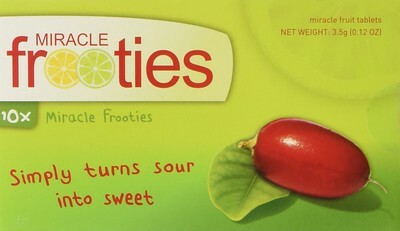 Miracle Fruit : The strangest sensation–a natural plant extract that will trick your senses into thinking something sour is sweet. Read more about miracle fruit in this post. 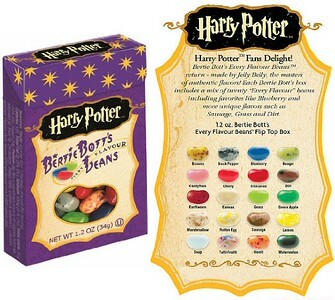 Harry Potter “Every Flavor” Jelly Beans ($4.79): Normal jelly bean flavors with some strange and quirky flavors (Black Pepper, Earthworm, Grass, Rotten Egg, Sausage, and more). 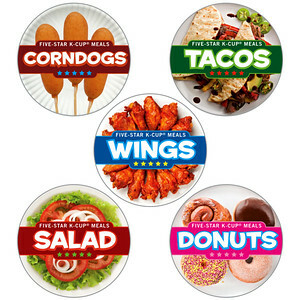 Keurig K-Cup 5-Star Meals : Whip up a meal–using your Keurig coffee maker? What’s on your holiday wishlist? Let me know in the comments!